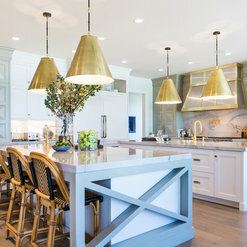 Best of Houzz-Design 2015, 2016, 2017, 2018 & 2019. Best of Houzz-Customer Satisfaction 2014, 2015, 2016, 2017, 2018 & 2019. 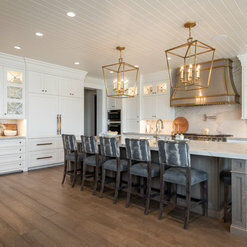 Featured in multiple Utah Valley People's Choice & Judges Choice Award winning homes as well as many other fine custom homes & dozens Parade of Homes Showcase Homes. Craig is amazing to work with. He came into our home and saw a vision immediately and then delivered that vision ten fold!! 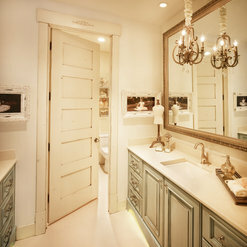 Our new designed cabinets in both the kitchen and bathroom exceeded our expectations in both style and quality. Not only did everything look amazing, but Craig’s attention to detail and high expectations of his workers was impressive. Craig also has the most positive, happy attitude that can make anyone’s day. I will recommend Craig and his team to everyone I know. In fact I recommended him to a friend who was in a time crunch and he came through and she was very pleased. Thank you Craig!! We are working with Craig on our new house build. He has an amazing eye for detail and function. Every design he submitted for our review was spot on! His work is beautiful. I would highly recommend him to anyone and everyone. Thanks so much Jamie! Your home is amazing! Can't wait to see the finished product! We had an outstanding experience working with Craig on our home remodel project. Craig is very professional and helpful during the design and selection process. He provided us with great examples of past work he had done to help us visualize the design we were looking for. His team also was very courteous and professional during the installation process. We are very happy with the results and highly recommend Craig. Thanks Brian! What a pleasure it has been to work with you and your wife! We loved working with Craig! Very professional, friendly and easy to work with! Thanks for our beautiful cabinets! We would highly recommend Craig if you're building a new home. Thanks so much Crystal. You guys are amazing! Let me know if you ever need anything. Craig's attention to detail was impressive. He clearly knows what he is doing and has a lot of experience. I was grateful for his willingness to share opinions on colors and designs that will work well together. Thank you so much for the kind review. I hope you're enjoying your new offices. Craig was fantastic to work with. He was creative in his design and had great suggestions for kitchen functionality. We was very prompt to respond to any phone calls or needs on the project. I would definitely recommend working with him! I would recommend Craig Veenker IN A HEART BEAT! He has great vision, is creative, and has an eye for detail. He was always professional and great with communication throughout the entire process. He always took time to make sure he understood exactly what I wanted, and then executed it beautifully. He exceeded my expectations by a mile! LOVE my new cabinets!! We are retired and often cook together, one person chopping and cleaning up, the other tending to the stove. 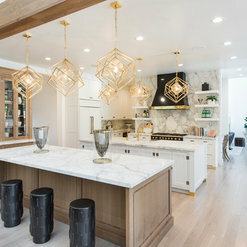 So that we don't bump into each other we wanted a kitchen with lots of uninterrupted counter space and wide aisles to easily move around open appliance doors. A nice feature was the microwave oven installed under the island counter-top because we are both ":vertically challenged". 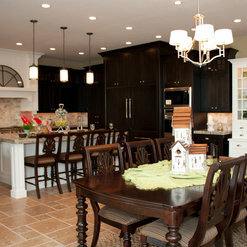 We chose to have one large sink, which keeps the island completely free for food preparation or serving buffet style. Craig is a very good listener. He helped us design an attractive, uncluttered, good working kitchen. He responded to our concerns personally and in a timely manner. Craig was absolutely amazing to work with. He helped us redesign and maximize the space in our small kitchen with beautiful, custom cabinets. I'm quite sure our project was 1/10 the size of his normal jobs, but he always treated us like we were his most important clients: he was always kind, responsive, dedicated to making sure we ended up with exactly what we wanted, and never pushy. He is one of the best professionals I've ever worked with, and I wouldn't hesitate to hire him again. Craig has an eye for detail and a creative flare for design, which is highly sought after when it comes to custom cabinetry. We have been partners in the construction industry for years, and plan to continue our relationship for many years to come. 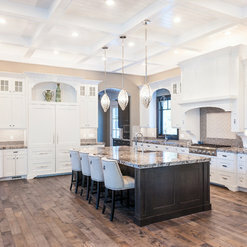 We would whole heartedly recommend Craig Veenker for any custom cabinetry project. Awesome guy to work with! Fantastic finish work and product!! 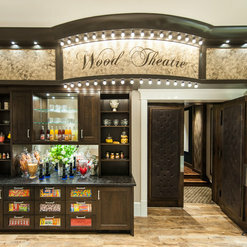 All of our cabinets were custom and complex and he handled it with ease! I started meeting with Craig about 9 months before my home was to be completed. He had a rough design of every room in my home that needed cabinets. We would go room by room modifying every area the way I wanted. Craig was great at taking my ideas and drawing them up and making it happen. I would give him pictures or drawings of what I wanted to create and he would jump on it. He was also great at giving me ideas as well. We met almost weekly and I was so impressed at how much time and attention he put into my project. He was never in a hurry or made me feel rushed. Craig went out of his way to make sure I was completely happy with the finished product. I love my new home and cabinets! I would highly recommend Craig to any one that was building a home. Commented: where are the stools from?Thanks for the question. 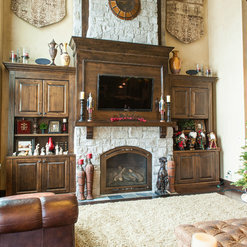 These were custom ordered by the interior design team from Alice Lane Home Collections. Commented: where is the hardware from? love it!Thank you for the question. These are from Rocky Mountain Hardware. Commented: what color are the cabinets? I like the warmth in the white.Thanks for the question. This is a custom color that we call Parade White. Commented: What brand is the cabinet hardware?Thank you for the question. We used Rocky Mountain Hardware in this kitchen. Commented: Cabinet paint color please?This color along with just about every color on this project were custom colors that we made and then tweaked with input from the interior designers until they were just perfect.